For the past two weeks, I’ve been playing Animal Crossing: New Leaf, which was my birthday gift from my boyfriend. The game is from 2012, but I’d never played any of the series before, so it’s completely new to me. I’ve played everyday since bringing the game home. It’s a really lax game for the most part, which is probably why I like it so much. I enjoy challenges like puzzles, quests, and destroying enemies, but slow-paced games are my favorite. He told me Animal Crossing is a life simulation and I didn’t believe him at first, but I see how it fits into the category. The only simulation games I’d ever played before are The Sims series and Cities: Skylines, so my view of the genre is narrow. I do compare AC: NL to Sims every now and then, but I can’t really say it’s like either game. Although, if I had to choose, I’d say it was a little closer to Sims, but barely. For starters, AC: NL has something Sims has yet to introduce: debt. You can’t really get into debt in any of the Sims games. If you fall behind on your bills, you just get your furniture taken away by the repossession service. When you buy a house, you pay full price for it right up front. In AC: NL, you have to make a down payment for your house before construction can start and you have to pay off the loan before you can expand or re-furnish your house. The same applies to town buildings. Building anything in the Sims is free unless you do it while playing with a household. In AC: NL, you’ve got to pay the full price (although citizens can donate, but they rarely, if ever, donate much) before a new building will be built. Cities: Skylines has a loan and debt system, but the income is automatic. If you keep your city happy and new citizens continually coming in, your income will be more than your expenses. Also, all loans must be paid back in full rather than little by little. That kind of system is a new thing for me. It takes a lot of patience! Thankfully, making bells (the game’s currency) is easy, but it’s time-consuming and if you have a high debt to pay off, it’ll take a long time if you don’t play around the clock. You can “time-travel”, but I don’t want to manipulate the game’s time. It feels like cheating to me, even though it isn’t. The town itself grows slowly, but the population grows quickly. It seems every other day, someone new moves into my town. It’s pretty much a Happyland, but that’s fine with me. I’m trying to run a town! I don’t need citizens fighting! Another thing that’s different from Sims is there’s no instant delivery. Whatever you buy, you have to take to your home yourself. Renovations aren’t completed until 6 AM on the next morning. You also have to buy clothes and have a closet or some kind of storage to store them in. Only in Sims 2 was that the case. In Sims 3 and 4, you could just click your character to change their outfit and you got “new clothes” by changing their outfits in the create mode. It was a bit annoying in Sims 2, but I don’t mind it in AC: NL because the clothing store isn’t far and the clothes change is instant. If I were the type who over-analyzed everything, I’d say there’s a message in a human running a town of animals. I did my think my character was weird-looking at first, but she’s grown on me, so I see her as kind of cute. She was also klutzy for a while. She kept tripping when she ran with her parasol. Luckily, that was a one-day thing. Overall, the game is cute and cool, and I’m having a great time with it. I feel sorry for my citizens when the “newness” wears off, though. Those poor animals will be abandoned for months! I hope they’re better at taking care of themselves than sims are when left to their own devices! 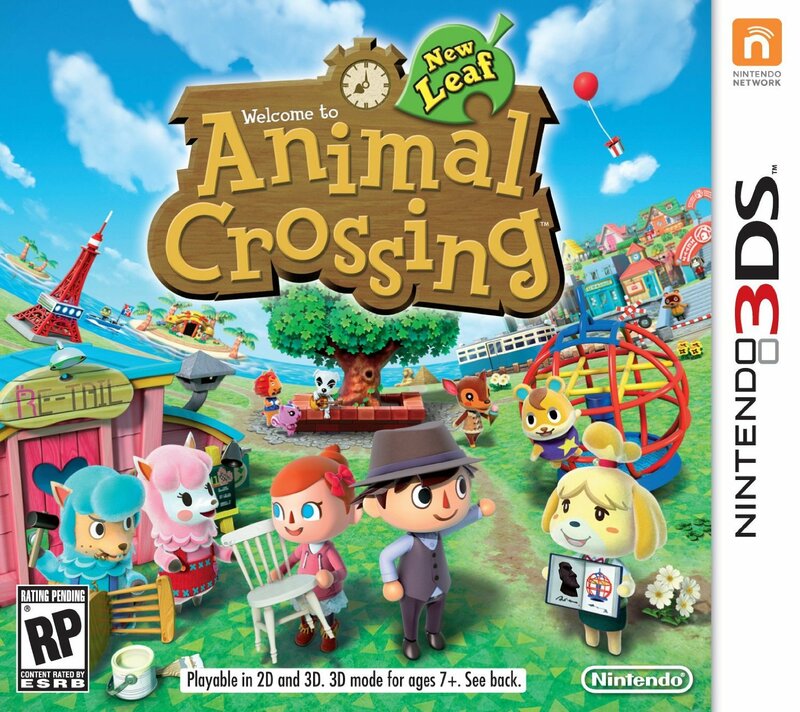 This entry was posted in Recreation and tagged ac: nl, animal crossing: new leaf, birthday gift, fun, opinion, video game. Bookmark the permalink.